What are your favourite flowers? Mine are Spring Chicken! Last month Serenata Flowers asked me if I would like them to send me a bunch of flowers. Obviously I said yes! I browsed through their website and found that I was really struggling to make a decision on the ones I liked best. I really loved the look of the ‘Peace’ bunch, but ultimately I plumped for Spring Chicken; a ‘bouquet of scented Freesias, blue Irises, yellow Roses and daisy-like Chrysanthemums’ according to the online description. I emailed my choice through and was surprised to receive them before 9am the following day! The packaging around Serenata Flowers has been well thought out. Mine arrived in a box with full instructions and in the centre of the bouquet I found a stick to help me remove them from their temporary home. Once I’d removed them from their cardboard cocoon, I transferred my beautiful delivery to a vase, following the instructions provided. I loved the wording of the guidelines that came inside the box – I really got the impression that Serenata Flowers are concerned just as much about the flowers after delivery as they are before and during. Every single stem was perfect when it arrived and transferring from the box to the vase was the simplest of tasks because the hand-tied bunches are ready to place straight into the water once you’ve added the food provided. The flowers lasted well and the first sign of wilting came unsurprisingly from the roses after around 5 days. Considering some of the supermarket-bought roses I’ve had in the past have wilted after just two, I was pretty pleased with their longevity. The rest of the bunch lasted well for a further 4 or 5 days and I eventually threw them out on day 13. This bunch was £24.99 with free delivery and well worth the money, in my opinion. If you or someone you know deserves a bunch of flowers to brighten their day, why don’t you treat them to some hand-tied suchine in a box, with up to 25% off at the moment and free deliery! If you prefer to leave it to Lady Luck, just enter the lovely competition I’ve got right here, brought to you by That Lancashire Lass and Serenata Flowers! I would choose the scented pink posy for my parents for their weding anniversary! I would buy Aztec Sun for my aunt, as lilies are her favourite flowers, she always buys them for me!! She would absolutely love this gorgeous bouquet. I would choose Purple Blaze for my Grandma because she loves purple! summer skies look pretty and for my sister as its her birthday in may. the beautiful smile bouquet for my mum! Ocean Whisperer. Beautiful and that is why I would give it to be lovely sister Wendy. I would choose Hope and send it to my mum. The Enchanted Elegance for my mum, who has been going through Cancer treatment. I’d choose the beautiful Blue Dendrobium and send them to my lovely mum! Enchanted Elegance for my daughter whos birthday is at the end of this month. 20 luxury pink roses i would give to my step mum. Aztek Sun, my wife’s Tension Sheet Colour is yellow, so she would love these. id choose the colour burst for myself! I would choose the Enchanted Elegance for me. I like the Miss Elizabeth Bennett arrangement, and would send it to my friend in Birmingham. The beautiful smile one for my mum. I like the Minuet flowers and I would give them to my Mum. I like the Summer Skies flowers! Flamingo Diva for my Mum. I would chose Blue Dendrobium for myself as they look beautiful and I never get flowers unless I buy them myself! I would choose the enchanted elegance for my friend Clare as she just turned 40. Enchanted Elegance for my mum! I would choose Exquisite. I would have these sent to my Mom as she has a special birthday soon. pink posy for my mum! I’d choose the ‘Colour Burst’ for my Mum. I would choose ‘Mum’s Surprise’ for my mom. They’re lovely. 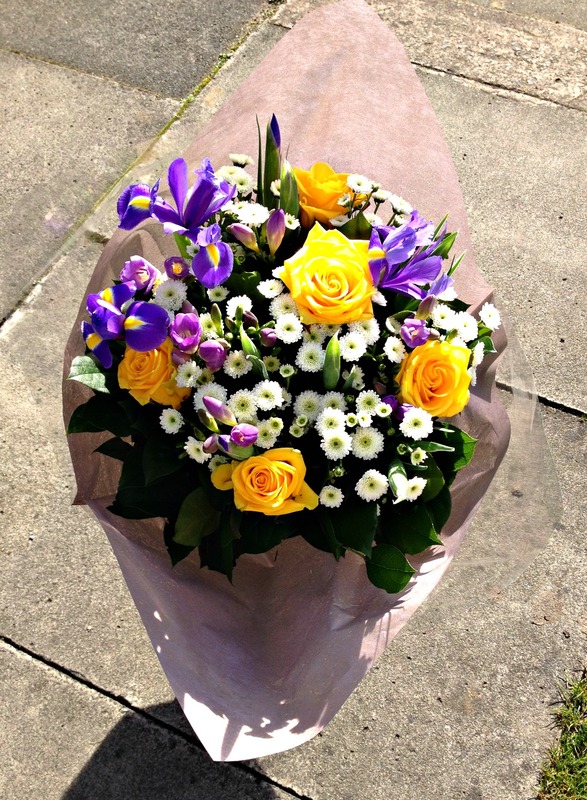 I would choose the Mother’s Day bouquet – and send it to my daughter as good luck for her A’Levels and impending major facial surgery….from a mother to her daughter! I would choose scented summer for me! I would buy Aztec Sun for my Great Grandmother for her 92nd birthday next month. I would choose the Spring Chicken flowers and give them to my mum. I would choose Roses and Stocks and I would give them to my best friend who is moving away to another county soon so I will miss her lots. Exquisite for myself coz, well I’m worth it! I would choose Baroness for myself to remind my partner that flowers are able to be brought into the house and what’s more – I actually LIKE it!!! I’d give the Moulin Rouge bouquet to my Mum! I love the ‘peace’ bouquet, it’s so beautiful! The 20 Luxury Pastel Roses look beautiful. Beautiful smile bouquet, to make my mum smile!